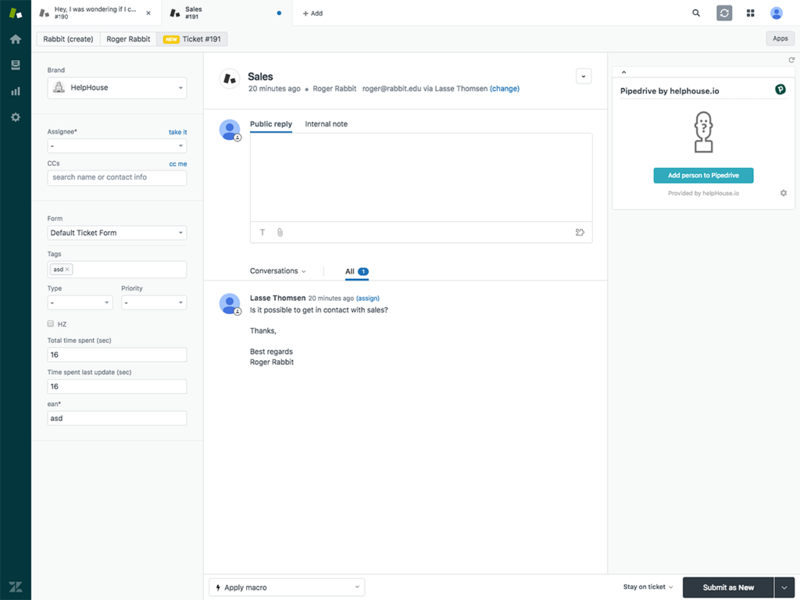 With the new and enhanced Pipedrive by helphouse.io app you can not only view but also create deals, activities, persons and organisation from within your Zendesk Support agent interface. 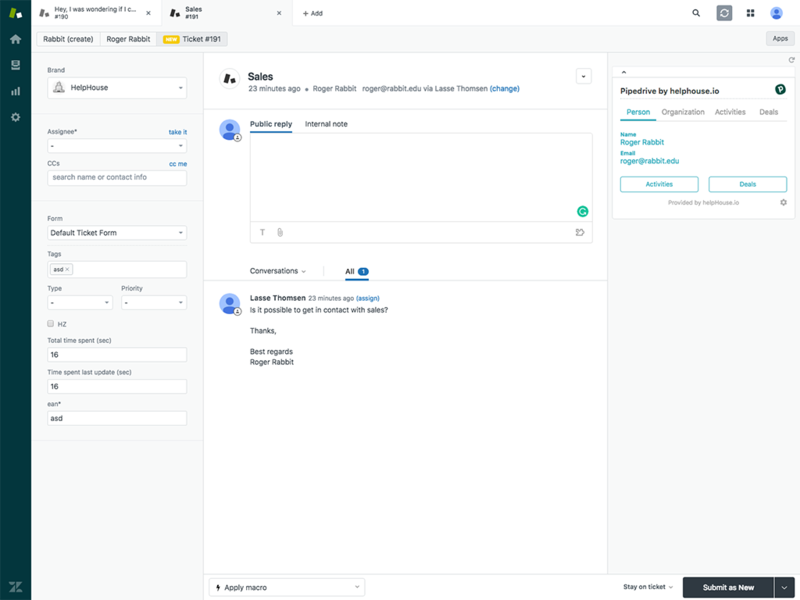 Integrating Pipedrive in your Zendesk workflow has never been more productive and easy. With this feature set, new opportunities will never be missed again! We love feedback!! so head over to our community and tell us what you think of the app and if you have an awesome idea for the app, please don't hesitate to share it with us! We love feedback, so head over to our community! Go to a Zendesk ticket or user, where you will find the app in the sidebar, at the right side of the ticket. A setup wizard will show. 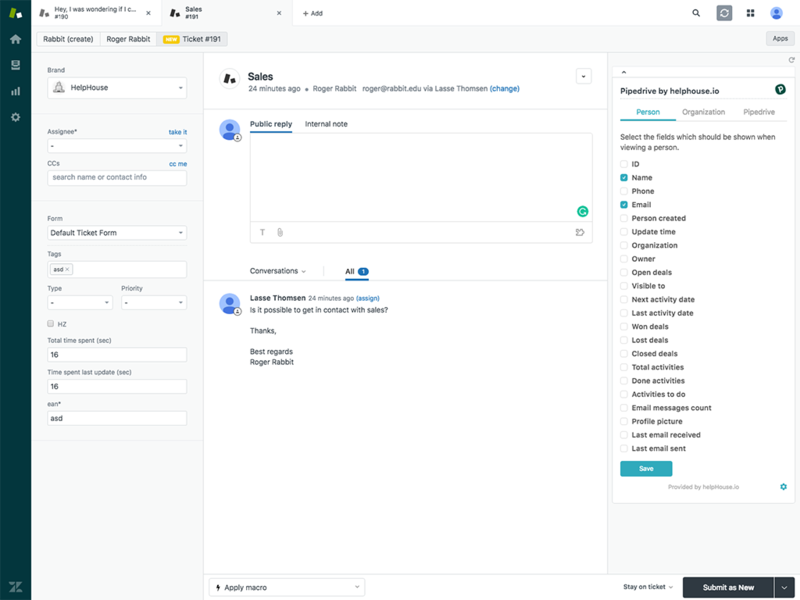 Grab your API key from Pipedrive - Follow this guide from Pipedrive, How to find your personal API key. In the Pipedrive API Key field fill in the API key. The app is now properly configured and will fetch the requester of your ticket from Pipedrive. If this is not the case you will be asked to authorize again.